Bail Bondsman Greensboro: Do I Need One? Finding Greensboro bail bonds is easier than ever. 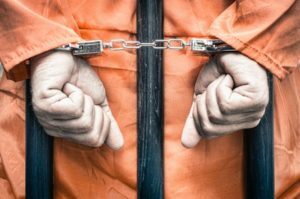 If a loved-one has been incarcerated, getting together their bail can be a confusing and difficult process. This is where a bail bondsman comes in! At Around the Clock Bail Bonds, our agents will make sure that you are properly prepared with a thorough understanding of the bonds process. It can be tricky to go about this alone, making our customer service expertise invaluable. Our services in Guilford County make the process much easier for you and your loved ones. When someone has been arrested under suspicion of a crime, that person will be taken to jail to be “booked.” During this time, the person (otherwise known as the defendant) will have mugshots taken, as well as fingerprints and statements. While the defendant awaits their court date, they will be released on bail, which is the financial agreement that a bail bonding agency will make on behalf of the defendant. The court sets the bail, which can be paid in cash, credit card or with bail bonds. If the defendant can’t pay the bail, the bondsman puts up a bail bond and the defendant must repay the bondsman. The bondsman, by posting the bond, is responsible for the defendant, making sure they arrive in court on time when they are scheduled to appear. Make sure the defendant knows the location of their hearing. In Greensboro: 201 South Eugene Street, Greensboro, NC 27401. Then, we will obtain collateral from the defendant’s assets to cover the bail bond. If the defendant does not have enough assets, the bondsman will take out collateral from individuals that are willing to assist. This is where family and friends come in. After all is said and done, the defendant and/or family and friends will make payments, agreed upon with the agent, on the bail with interest. Why Choose Around the Clock Bail Bonds’ Service in Greensboro NC? If you or a loved one is in need of a bail bondsman Greensboro, North Carolina, contact Around the Clock Bail Bonds at: (336) 455-0142.